Building on our partnership with the NBA, we were asked to design a dynamic website for their NBA Stats team. The website would be updated in real-time with in-game player and team data. To allow fans to follow each game, there was both a pre-game and a post-game page that pulled in and visualised the game data, using player and team statistics. 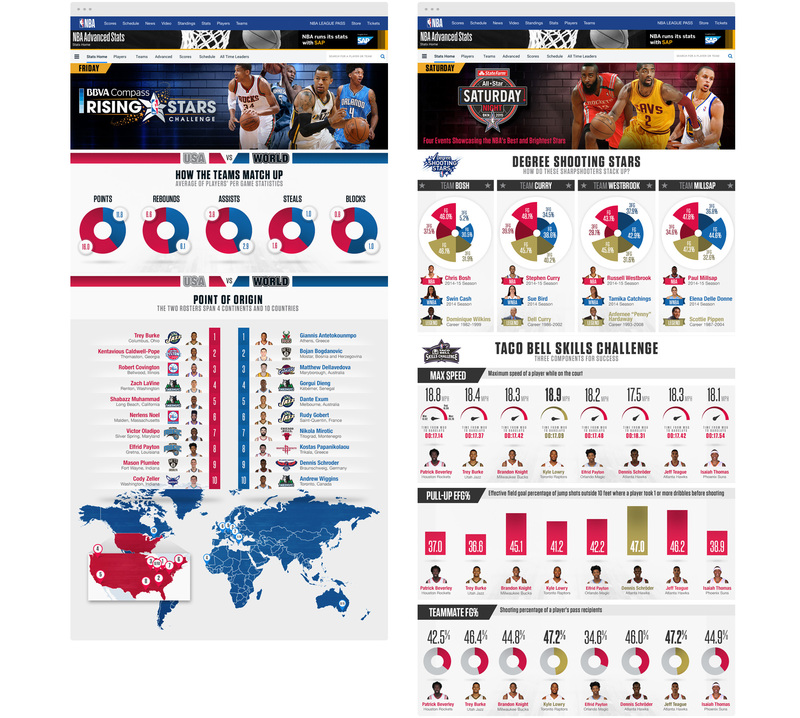 Building on what we had created for the main stats.nba.com page, we also created bespoke pages for the All-Star weekend too. The data was pulled in and updated in real-time, ensuring that the user was kept up to date, making it a true second screen. At a time, where data visualisation was riding the crest of a wave, we ensured that the NBA Stats team were at the forefront of that — especially developing premium information graphics for the most stats-focused sports fans in the world. It was a huge pleasure to work with NBA Stats passionate team, after our work with their Social team. Slam dunk.